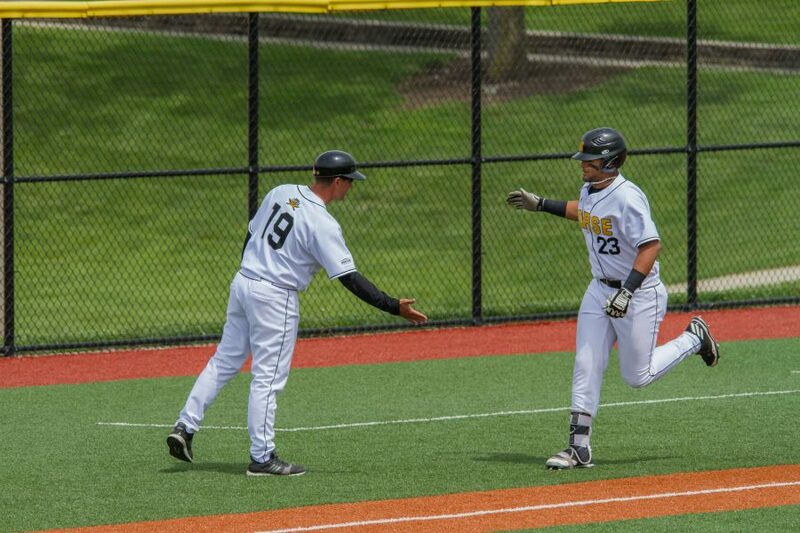 Trey Ganns rounds third base after he hit a home run. Trey Ganns collected his second Horizon League Batter of the Week honor of the season, after hitting .524 with seven doubles, three home runs and eight runs scored. Ganns also had a slugging percentage of 1.286 with an on-base percentage of .545. 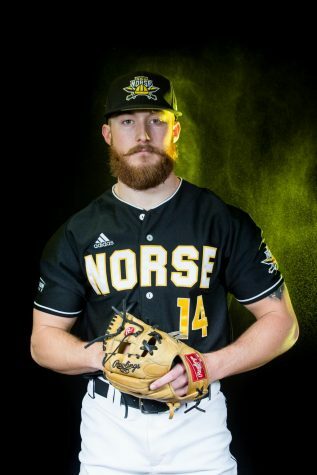 Ganns has been the best hitter in the Norse lineup this season, currently hitting .340 and leads the team with 11 home runs and 41 RBI. 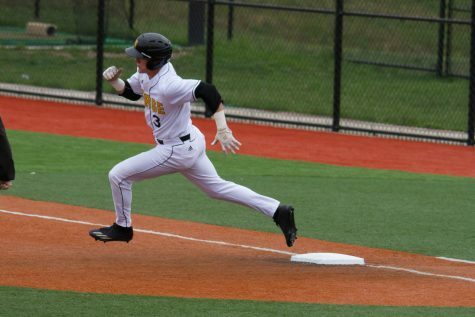 He is ranked sixth in the Horizon League in batting average, third in the league in doubles (13), and leads the league in RBI and runs scored (35). Asalon says the rest of the team has also benefited from having Ganns’ bat in the middle of the Norse lineup. On Sunday, Ganns threw 7.0 innings against UIC and allowed just four hits and two runs and struck out five batters in a no decision. 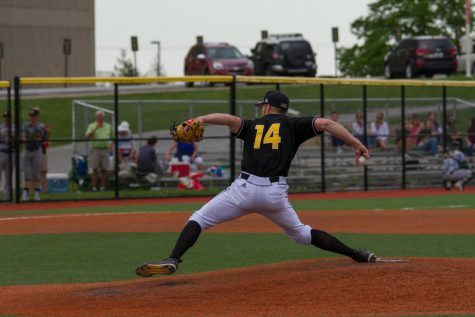 Prior to this week, Ganns had been struggling on the hill, lasting just 2.2 innings against Valparaiso on April 8th and allowing nine hits and five runs. Ganns ERA rose to 9.00 after that start. 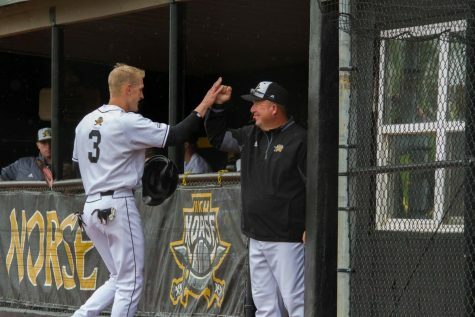 To help Ganns get back on track, Asalon skipped one of his starts the week after the Valparaiso game to give him a rest and work through his struggles in the bullpen. Ganns will make his next start on the mound next weekend against Wright State. 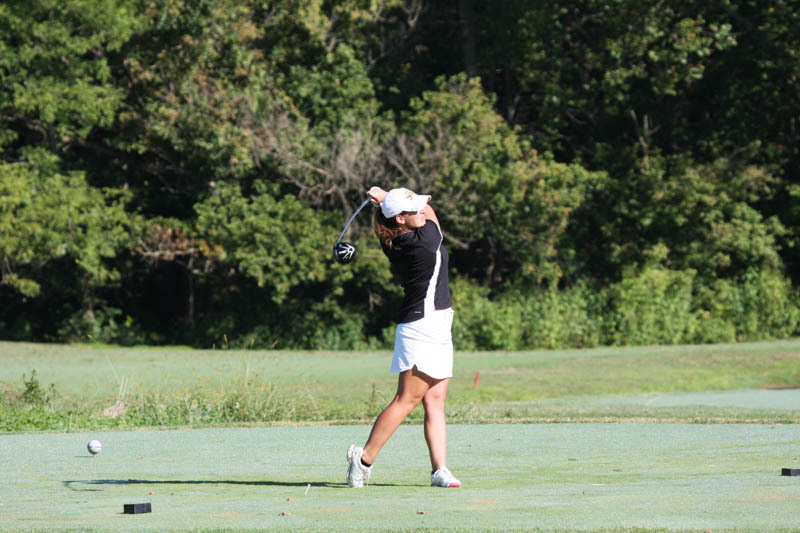 The NKU women’s golf team currently sits in first place in the Horizon League championship at Las Colinas in Florida. The Norse shot a team score of 304, which is 16 strokes over par and lead second place Oakland by eight strokes. shooting a 72 for even par and leads Youngstown State’s Katlyn Shutt by a stroke. Fellow senior Ryleigh Waltz is currently tied for fifth with a score of 76, four strokes over par. The Norse lead the tournament with 13 birdies and Shelby Power shot the rounds only eagle. Meanwhile, the men’s golf team sits in sixth place in the Horizon League tournament with a day one score of 307. The men are currently in the middle of round two. The second round of the Horizon League Tournament will be played today while the tournament will wrap up on Tuesday. 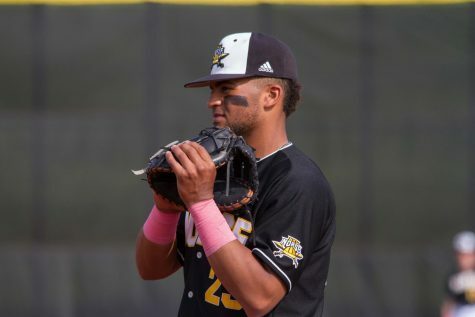 NKU baseball still sits in third place in the Horizon League with an 8-8 record in conference play after splitting doubleheaders with Valparaiso and UIC. UIC sits in first place in league play with a 16-3 record in conference while Wright State is in second place with a 13-3 conference record. Oakland has won six out of their last seven games to jump into fourth place in league standings with a 7-9 record in conference play. 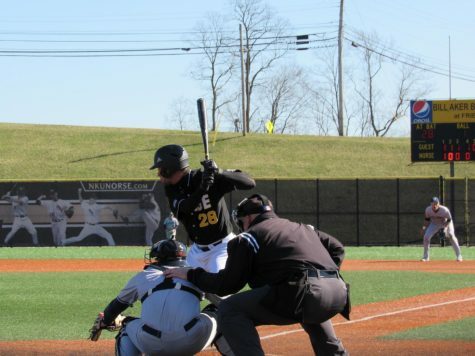 NKU will play Oakland for the first time on May 12 at home in a double header. The Norse will close out their season with a three game series with the Grizzlies. 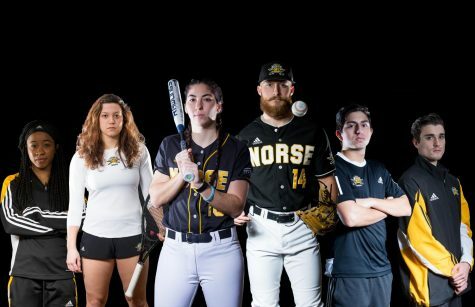 NKU softball is currently in seventh place in the Horizon League standings with a 7-11 record in league play. They are chasing the sixth seeded Oakland Grizzlies for the final spot in the Horizon League tournament. The Grizzlies currently have a 10-8 record in Horizon League play. Detroit Mercy is currently fifth in the standings with a 9-7 record in league play. 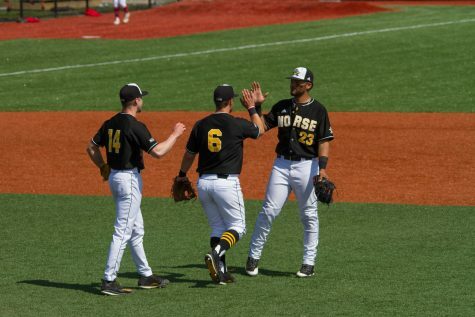 The Norse have two more Horizon League series left, the first this weekend against last place Green Bay, who has just one win in conference play. They will then take on current fourth seed Wright State the following week. 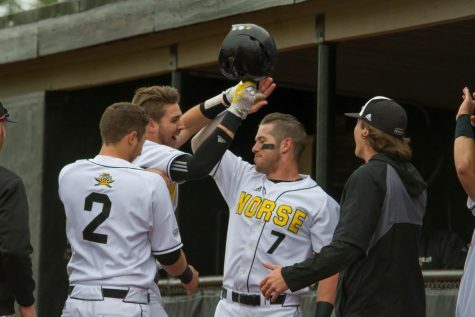 The Norse still have a shot at making the Horizon League Tournament, but they will need to win their final two series along with losses from either Oakland and/or Detroit Mercy to qualify. Meanwhile, men’s tennis has secured the fifth seed in the Horizon League tournament. They will face fourth seeded Youngstown State in Ann Arbor, Michigan on Friday in the first round of the tournament. The Penguins are 18-7 on the season with a 5-2 record in conference play. The Norse finished the season 3-4 in league play and 7-8 overall. The Norse lost to the Penguins in their regular season matchup 5-2.